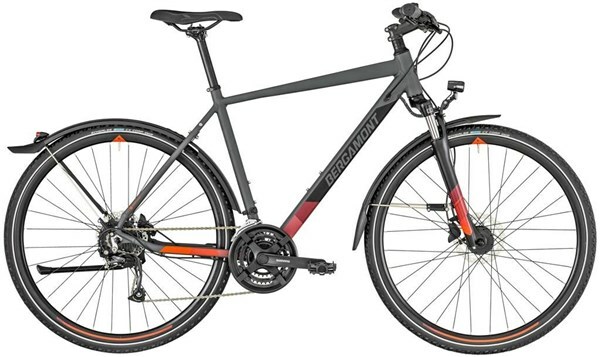 A crossover between trekking and fitness bike for on- and light offroad use. All models are built on a light aluminium frame with a well-balanced and comfortable geometry. A front suspension increases riding comfort, EQ models are already fitted with fenders and a lighting system featuring a hub dynamo.